The Literature minor offers students the opportunity to enrich their education with the discipline of literature. Students emerge from the Literature Minor trained in literature from a variety of perspectives: historical, philosophical, and artistic. 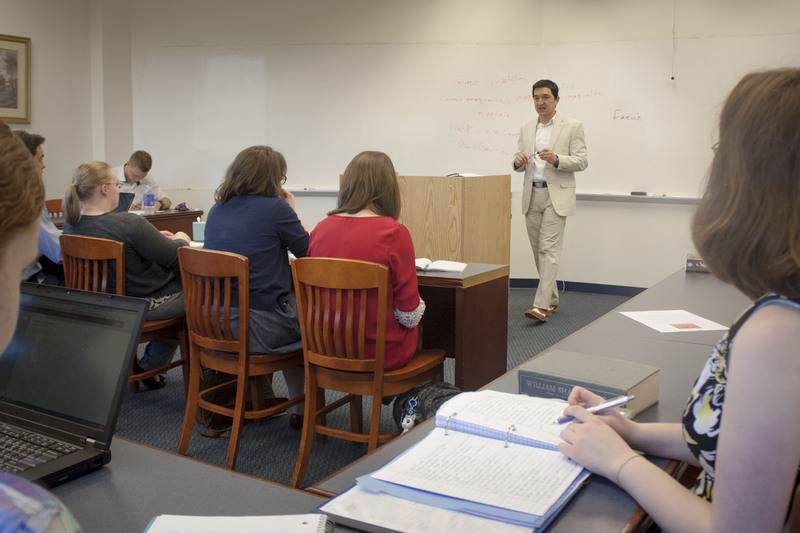 They are prepared for a variety of vocations rooted in the liberal arts, including law, theology, classics, and communication. Identify great works of European and American Literature, including historical epochs, genres, and major authors. Apply important statements of literary theory and criticism in the Western tradition. Enhance writing skills through critical and imaginative responses to literary texts. Integrate the aesthetic, moral, and philosophical principles of literary works into a Biblical worldview.